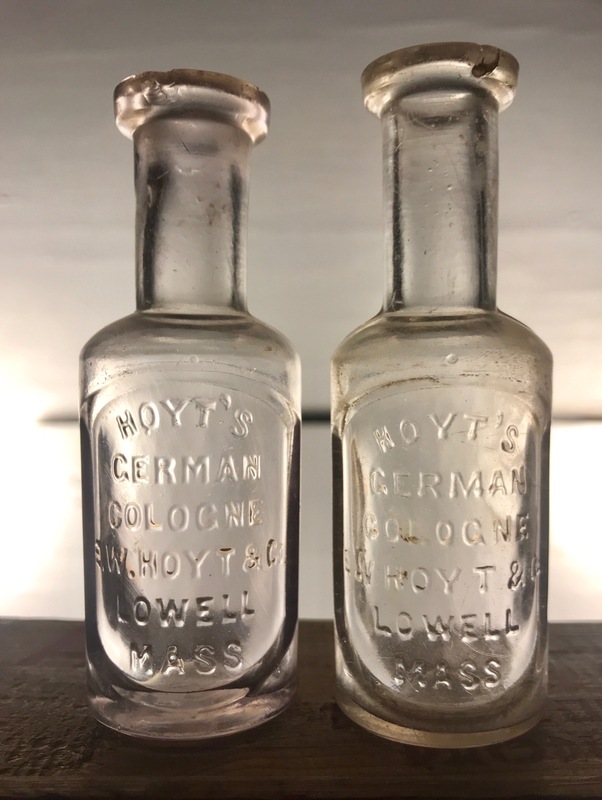 E. W. Hoyt & Co.’s signature product was called Hoyt’s German Cologne which they began producing in Lowell Massachusetts around 1870. The company was named after its founder and initial proprietor, Eli Waite Hoyt. 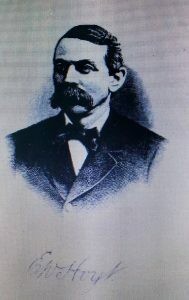 His biographical sketch in the “History of Middlesex County, Massachusetts, by D. Hamilton Hurd, published in 1890, stated that he was born in Alexandria, New York in 1838 and moved to Lowell when he was eight years old. The biographical sketch went on to describe the start of the business. At the age of about fourteen years he became a clerk in the drug-store of E.A. Staniels, on the corner of Central and Middlesex Streets, and at length was received as partner in the business. Upon the death of Mr. Staniels, in 1861, Mr. Hoyt, then twenty-three years of age, became sole proprietor. 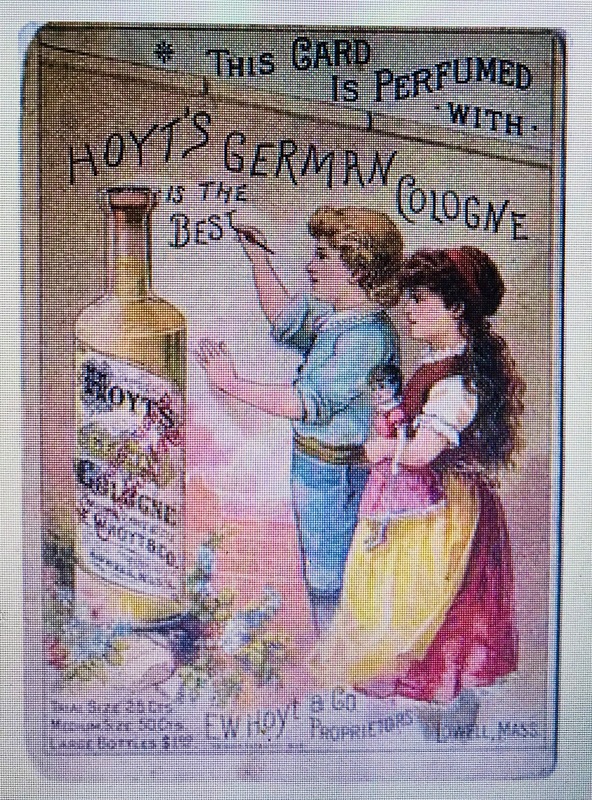 According to Hoyt’s biographical sketch, it was around this time, in the mid 1860’s, that Hoyt’s German Cologne was in its infancy. 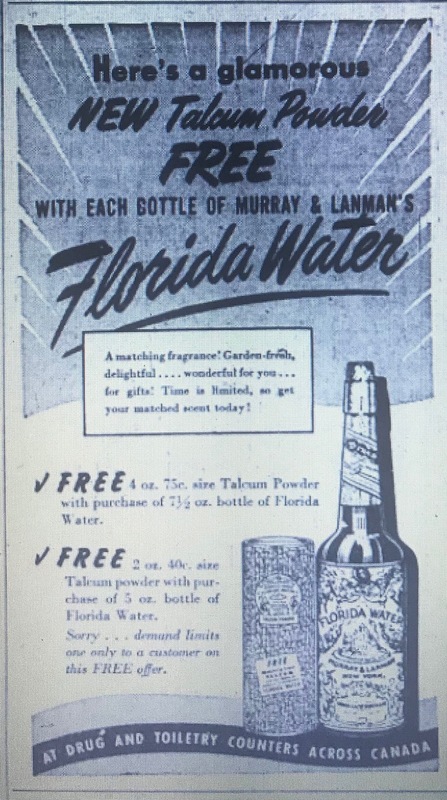 Initial newspaper advertisements for it began appearing in 1871. The first were in Bangor, Maine where it was being sold by someone named Chas. Hight. Very quickly the business outgrew the old Staniel’s apothecary, such that in 1873 another building was constructed on the adjoining lot. An item announcing the new building was printed in the July 17, 1873 edition of the Boston Globe. Messers. E.W. Hoyt & Co., druggists, have recently erected a large four-story brick edition to their store, on the corner of Central and Middlesex Streets. This addition is to be used by this firm for the manufacture of their celebrated German cologne. 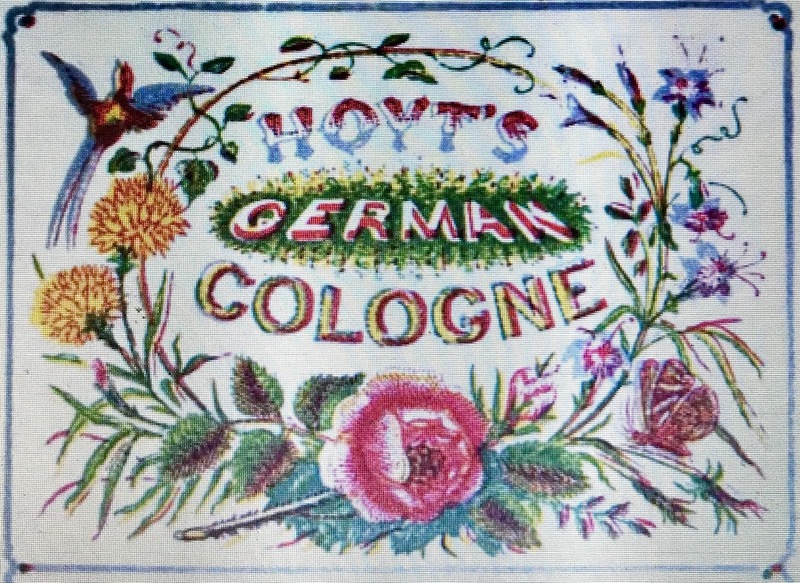 In 1877 Hoyt & Shedd’s German cologne had become so high in popular favor throughout the world that the drug business was given over to the two head clerks and the attention of the two partners was given entirely to its manufacture. Based on the 1880 Lowell Directory, the clerks were named Charles H. Crowell and A. J. Harrison and the drug store continued in business on Central Avenue under the name of Crowell & Harrison. Shedd’s obituary goes on to say that E. W. Hoyt & Co. outgrew their Central Avenue building and in 1884 constructed a new building at Church and George Streets. By then, the company had also established a branch in Montreal, Canada. 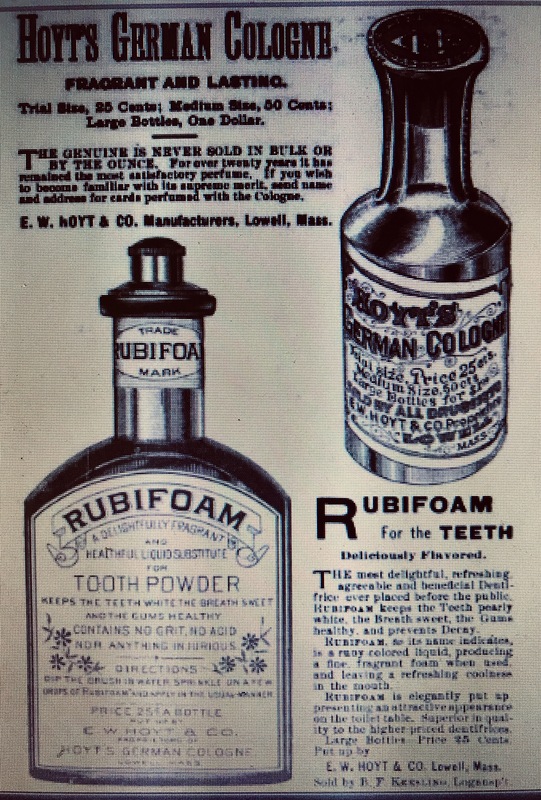 By the mid to late 1880’s, in addition to Hoyt’s German Cologne, the company was also manufacturing several new products, the most notable being Rubifoam for the Teeth. 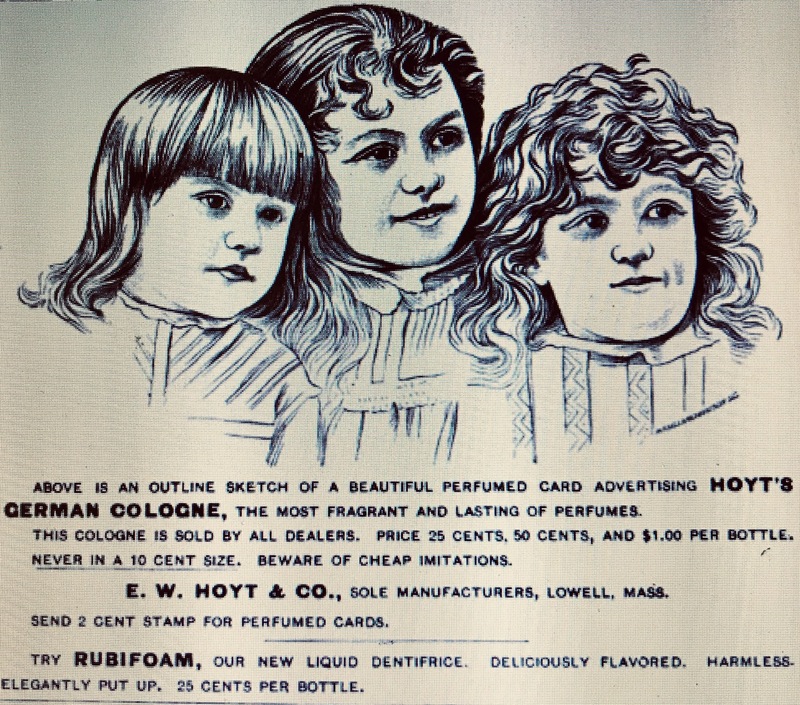 This advertisement, printed in the 1890 edition of “Keesling’s Book of Recipes and Household Hints,” touts both Hoyt’s German Cologne and Rubifoam. Eli Hoyt passed away in February, 1887 after which Shedd continued to run the company until his death in March, 1913. At that point, according to a March 17, 1913 story in the Boston Globe, the estate sold the business to his secretary, Alexis D. Sargent. (to) Alexis D. Sargent, his secretary, he left his business, to be paid for at an assessed valuation, but no charge will be made for the good will. Around the time that Sargent assumed control of the company their address in the Lowell directories changed to 295 Central, Room 8. I assume, but cannot confirm, that this was an office address and the manufacturing continued to occur at their facility at Church and George. Between 1901 and 1914 the company also included an address in New York City where they used local perfumers named A. B. Calisher & Co as their agent. The name “German”had been selected merely to give a definite title to the cologne, and they did not intend to offer it as bearing any semblance to German cologne. They designed three sizes of bottles for this cologne, calling them large, medium and trial size, which retailed for $1, 50 cents and 25 cents respectively. The large and trial size they designed in 1870, and the medium in 1876. Later, in the early 1900’s the company introduced Hoyt’s Nickel and Ten Cent colognes as well. Apparently the name was more of a size designation than an indication of cost because there were a lot of deals to be had out there. One 1908 advertisement for a store called Efird’s in Concord, North Carolina offered up nickel and dime bottles for three and seven cents respectively. Better yet in Washington, D.C., in 1911 at Goldeberg’s, you could get a ten cent bottle for a nickel and a coupon! The company was a big believer in advertising through the use of trading cards and, taking it a step further, they soaked their cards in perfume. An example that recently appeared for sale on the Internet is presented below. They apparently made these cards available to both the general public as well as in bulk to their retail agents. 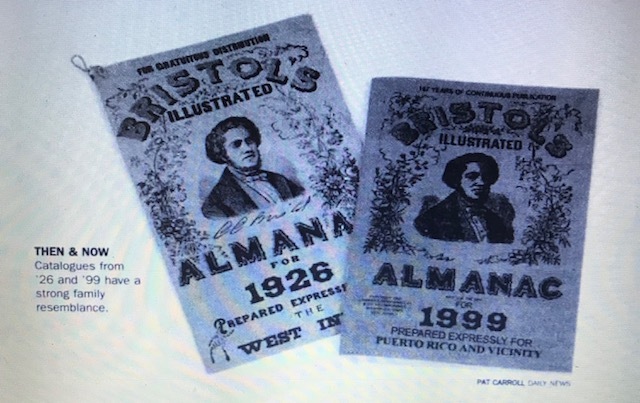 One advertisement, in the June 1888 edition of “Atlantic Monthly” aimed at the general public, actually promoted the perfume as well as the card which they would send to you if you provided them a two cent stamp. 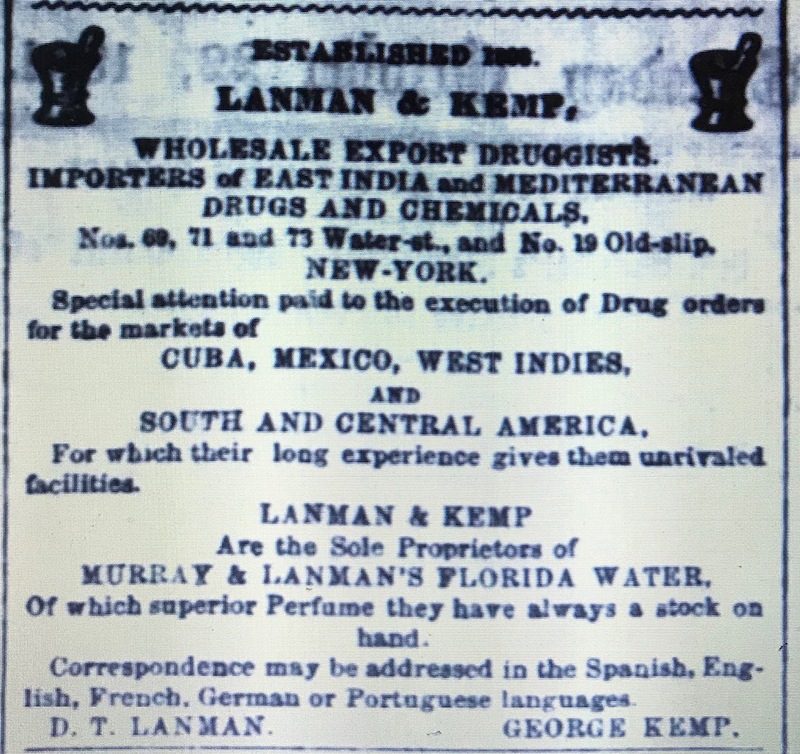 Another advertisement, this one, aimed at dealers and printed in “Weeks and Potters Revised Catalog of Foreign and Domestic Drugs -1879,” offered to include the dealer’s business card information on the trading card. According to www.cliffhoyt.com the company produced over 50 unique trading cards related to “Hoyt’s German Cologne.” In addition to trading cards, over the years the company also produced calendars and cardboard fans with advertising material printed on them. Visit www.cliffhoyt.com for some great photographs and additional information on E W Hoyt & Co. and their advertising materials. 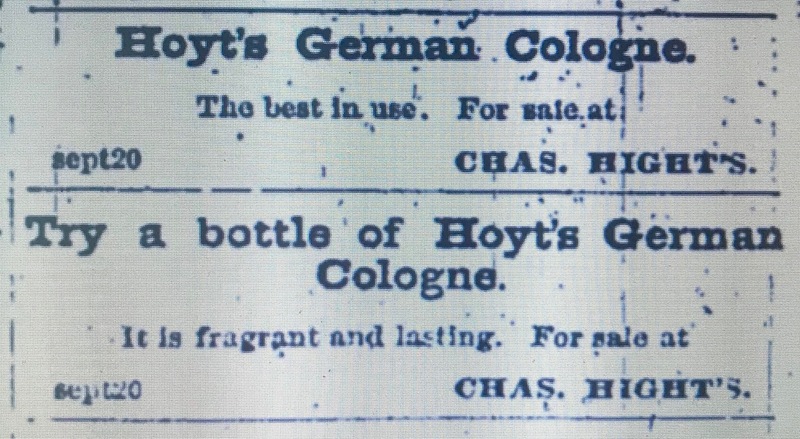 The cliffhoyt website goes on to say that around 1918 the company dropped the word “German” from the name of the cologne, changing it to Hoyt’s Eau de Cologne. This was certainly done in an effort to disassociate the product from its perceived German connection as a result of World War I. The need to do this, while obvious, was exemplified by a news story about a U.S. soldier who survived a gas attack during the war. Printed in the July 8, 1918 edition of the Chattanooga (Tennessee) News, it was entitled: Whiff of “German Cologne,” Now Recovering. Fred L. Schwab, of the 117th engineers in France, is Chattanooga’s second boy to be gassed “over there.” In a letter to his mother, Mrs. J. M. Schwab, 220 East Main Street, he tells of his experience with a whiff of “Hoyt’s German Cologne,” as he pleasantly calls the gas bomb. Hoyt’s Cologne developed in 1868 is truly an old fashioned fragrance reminiscent of early American colognes. A clean and refreshing scent with fragrance notes of citrus and floral. Hoyt’s is widely believed to bring good luck. Splash on your hands and body before playing games of chance. I’ve found two Hoyt bottles, both mouth blown and about 3.5 inches tall. Their appearance matches a description provided in the trademark court records. I suspect that both bottles are the 25 cent trial size. many people are liable to be deceived thereby, and buy the defendants goods under the belief that they are getting those of the plaintiffs. 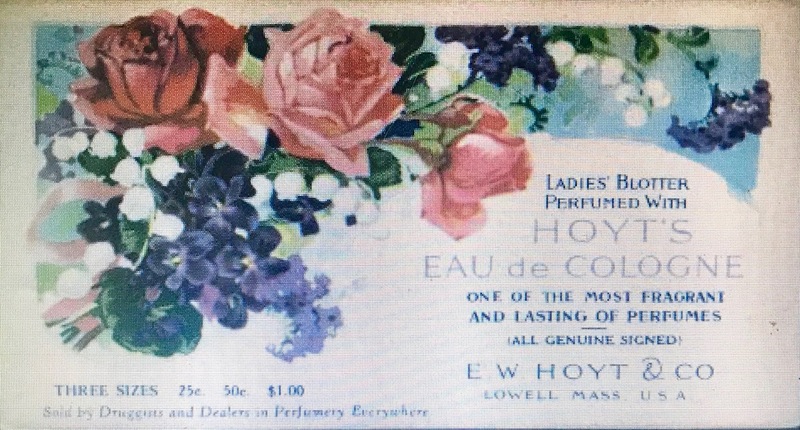 The lower courts granted E. W. Hoyt & Co. an injunction restraining the other Hoyt from imitating their bottles, boxes or labels and later, went further, restraining them from associating the word Hoyt’s with their cologne. Ultimately however, the lower court decisions were overturned by Pennsylvania’s Supreme Court based on the fact that their indented panel bottle design was not patented and , in fact, the bottle could actually be purchased, off the shelf, “by anyone who fancied its use.” Likewise, their cap label was not originated or patented by them and their adoption of it gave them no title to it. 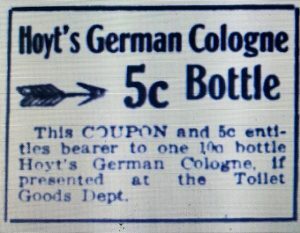 Most drug and department store price listings printed in newspapers during the early 1900’s simply list “Hoyt’s German Cologne,” so it’s not really clear which brand they were actually selling. In the late 1800’s to early 1900’s, Richard A. Hudnut, a New York businessman built a fortune manufacturing perfumes, cosmetics and beauty products and he is widely recognized as the first American to achieve international success in the cosmetics industry. His father, Alexander, a druggist, initially established a drug store on Court Street in Brooklyn in the 1850’s. An entrepreneurial businessman in his own right, an historical feature called “The Older Brooklyn” that was published in the June 29, 1911 issue of the Brooklyn Daily Eagle and described the Brooklyn of 50 years prior, credits his drug store with being “one of the first to introduce cream and syrup flavors into soda water.” Later, in the early 1870’s he opened a drug store in the Herald Building in Manhattan at 218 Broadway. Richard began his career working in his father’s business. The early history of his life and business is told in “New York State’s Prominent and Progressive Men” published in 1902. M. Hudnut was born in the City of Philadelphia on June 2, 1856. Soon thereafter the family removed to New York, and he was educated in the schools of that city, and in the Polytechnic Institute Brooklyn. At the age of eighteen years, he left school and entered the drug store conducted by his father in New York. There he made a thorough study of the drug business, and paid special attention to the chemistry and the manufacture of perfumes. He remained in association with his father in that store until the latter’s retirement from business and the closing of the famous store in 1889. Mr. Hudnut made a prolonged visit to Europe, during which he traveled widely, and made a careful study of the most approved and successful methods of manufacturing perfumery. Then on his father’s retirement, he opened the Richard Hudnut Pharmacy Incorporated at 925 Broadway New York. To that establishment, he has since devoted practically his entire business attention. While conducting a general pharmacy business of the best kind, Mr. Hudnut’s corporation as might be supposed, makes a specialty of the manufacture and sale of perfumery. In that industry nearly a hundred persons are employed, and the Richard Hudnut Perfumes are sold in all parts of the country and are recognized as of the highest standard of excellence, competing not only with the beast American, but with the best foreign makes. Much of this story is supported in the various NYC Directories of the time. Alexander Hudnut is first listed at 218 Broadway in the 1870/71 NYC Directory. In the 1880 Directory, Alexander and Richard are both listed at the 218 Broadway address and they remain listed together at this address through 1888. In the 1889 Directory, Richard A Hudnut, drugs, is listed at the 925 Broadway address for the first time. Up through 1914, Hudnut maintained both a retail drug business and perfume/cosmetics manufacturing business, a business that was continually expanding. The ERA Druggist Directories between 1905 and 1914 listed the location at 925 Broadway under “retail druggists” and the 1905 Directory provided a menu of services at this location that included: drugs/medicines, drug sundries, wines and liquors and a soda fountain. In 1902, the Copartnership and Corporation Directory began listing a second address for Richard Hudnut at 40 East 19th Street. 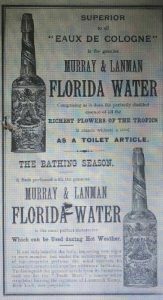 The ERA Druggist Directories listed this location under “drug manufacturers” (toilet preps and perfumes.) In and around 1908, this piece of the business moved to a new headquarters at 115 East 29th Street. This location was a newly built six-story building that included manufacturing space, offices, shipping areas, laboratory and a showroom. Then, still in need of more space, on November 18, 1911, the Brooklyn Daily Eagle reported that Hudnut had leased two floors, each 10,000 square feet, in Bush Terminal as general distributing and shipping quarters. In 1914, Hudnut sold the Broadway location and effectively retired from the retail drug business. The May 1914 issue of the Pharmaceutical Era reported it this way. 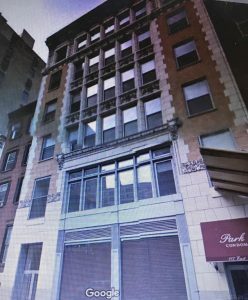 The stock and fixtures of Hudnut Pharmacy, 925 Broadway, near 21st Street, Manhattan, valued at $50,000, were sold at auction on April 23. It is understood that Richard Hudnut has been looking for an opportune time to retire from the retail drug business and that the above action is a result of his desire. The wholesale and manufacturing business will continue undisturbed at 115-117 East 29th Street. The Richard Hudnut perfumes and toilet specialties are a well-known line in the trade. Then, two years later, in August of 1916, the Pharmaceutical Record reported that Hudnut sold the manufacturing end of the business to Wm. R Warner & Co.
An announcement of interest to the trade was recently made by Richard A. Hudnut, who has sold substantial interest in Richard Hudnut to Messrs. H. Pfeiffer, G. A. Pfeiffer and G.D. Merner, of the firm of Wm. R. Warner & Co., of Philadelphia and St. Louis. Mr. Hudnut continues as president, and the business policies that have made the name “Richard Hudnut” famous in the perfume and toilet goods world will be continued. The office and laboratory located at 115-117 East 29th Street, New York city, have been leased by the new organization. Two years later, the 1918-1919 Copartnership and Corporation Directory listed Gustavus Pfeiffer as president of the Richard Hudnut Corporation and Hudnut was no longer mentioned. So within two years of the sale, Hudnut was no longer associated with the business. Whether this decision was Hudnut’s decision or the decision of Wm. R. Warner & Co. is unclear to me. He passed away in 1928, while living in France. The Wm R. Warner Company became Warner Lambert Pharmaceutical Co. in 1955. Warner Lambert was acquired by Park Davis in 1970 and they merged with Pfizer in 2000. Richard Hudnut was apparently producing perfume and cosmetic products as early as 1880 while working in his father’s business. 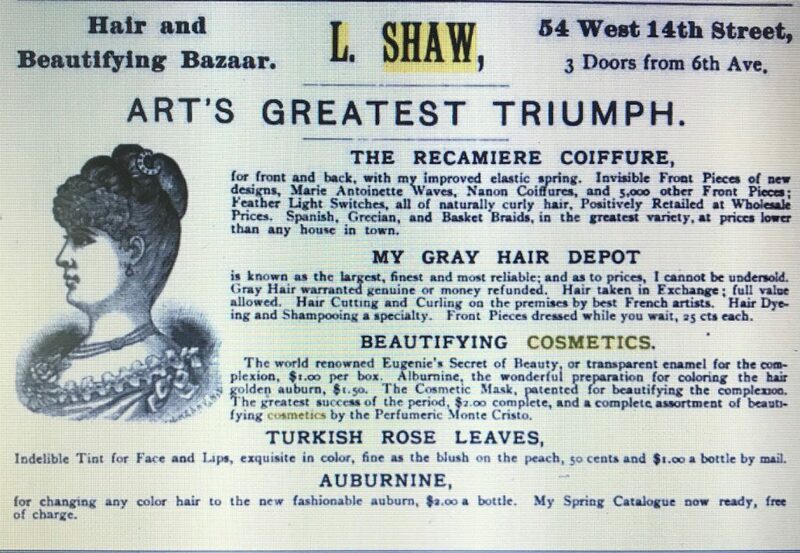 By 1893 he had his own product line called Hudnutine that included perfumes, toilet water, talcum powder, face powder, cold cream, tooth powder, rouge, etc. A later product line developed by Hudnut was called DuBarry. After the sale of the business in 1916, the Hudnut name remained associated with various perfume and cosmetic products through at least 1959. 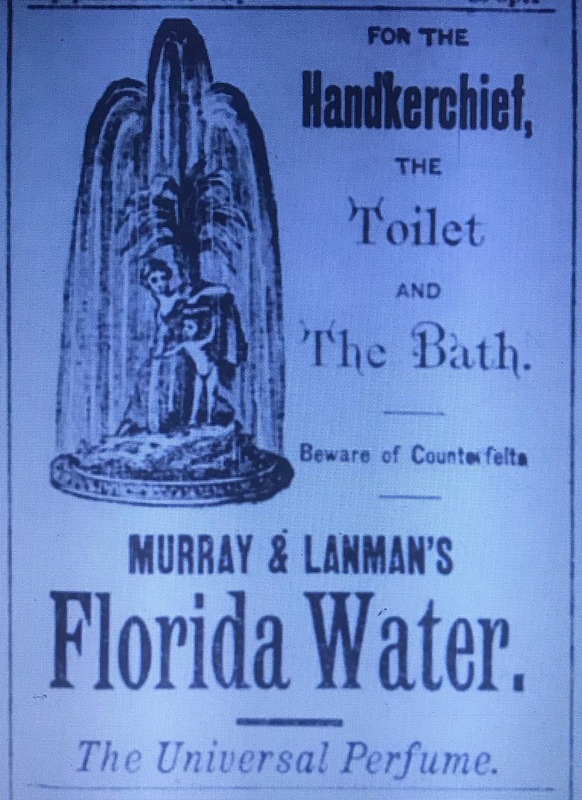 The bottle I found matches the bottle in a 1914 advertisement for a toilet water called Violet Sec. The value of toilet water is the feeling of freshness its use inspires. The delicacy of Violet Sec Toilet Water, its elusive fragrance and lasting quality have made it the choice of smart women everywhere. The above image is from Hudnut’s 1913 – 1914 Price List. A patent for Violet Sec Toilet Water was filed on September 17, 1912, however, based on a December 14, 1899 item in the Pharmaceutical Era, the product dates back to at least the late 1800’s..
One of the most artistic drug windows in New York is that of Richard Hudnut, on Broadway. Upon a royal purple background is displayed a varied assortment of goods for the holiday trade. 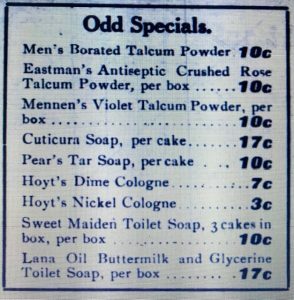 Violet Sec Toilet Water, the “Apotheosis” of the violet odor, is having a great sale among the drug trade this year, selling to the retailer at 75 cents a bottle of six ounces. The essence of this same odor is put up in ounce bottles contained in fancy boxes of imitation grogran silk, decorated in Louis Quinze style. In addition to his two New York locations, Hudnut’s products were sold in upscale New York department stores. 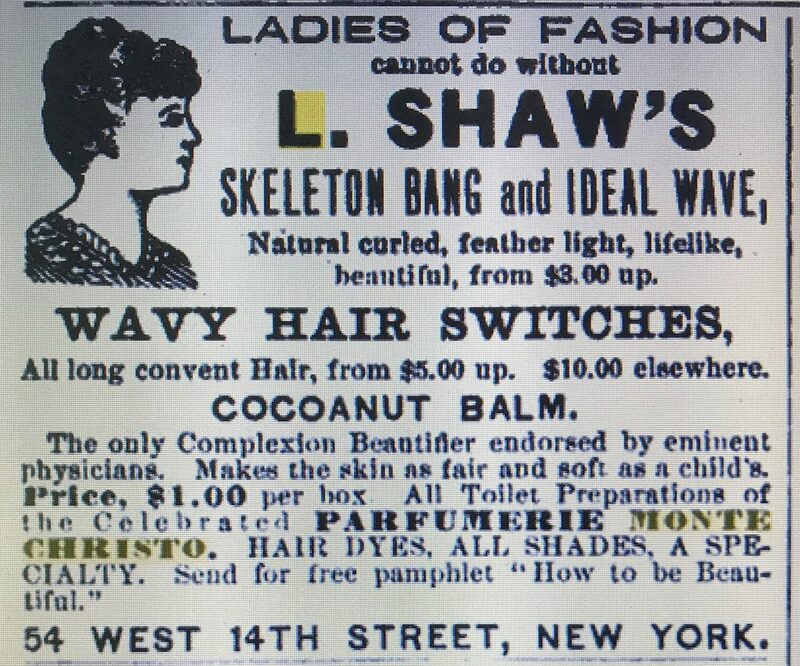 Between 1896 and 1905 his products were occasionally listed in Brooklyn Daily Eagle advertisements for Abraham and Strauss (Richard Hudnut’s Nailustre for the Fingernails – 1902 and Richard Hudnut Handkerchief Perfumes – 1905), H. Batterman (Richard Hudnut’s Perfumes – 1896) and Journeay and Turnham (Richard Hudnut’s 8 oz Toilet Waters, all odors – 1897). The building that housed the Richard Hudnut headquarters at 115 -117 East 29th Street is still there today and has been converted to condominiums (each in the $2 million + price range). The current building at 925 Broadway was built in 1918, after the Hudnut retail business was discontinued at that location. The building at 218 Broadway, Alexander Hudnut’s first Manhattan location, was called the NY Herald Building. It is said that Alexander placed a large thermometer outside his drugstore and as a result, “Hudnut’s Temperature” was published every day in the NY Herald (and the NY Times). The St. Paul Building. One of the tallest buildings in New York when erected. 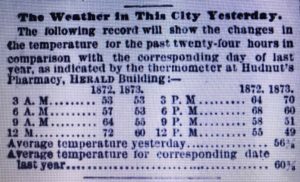 This replaced the old New York Herald office building, where for years Hudnut’s Drug Store on the corner did a land office business in soda-water during the summer, his thermometer regarded as the official figure of temperature. 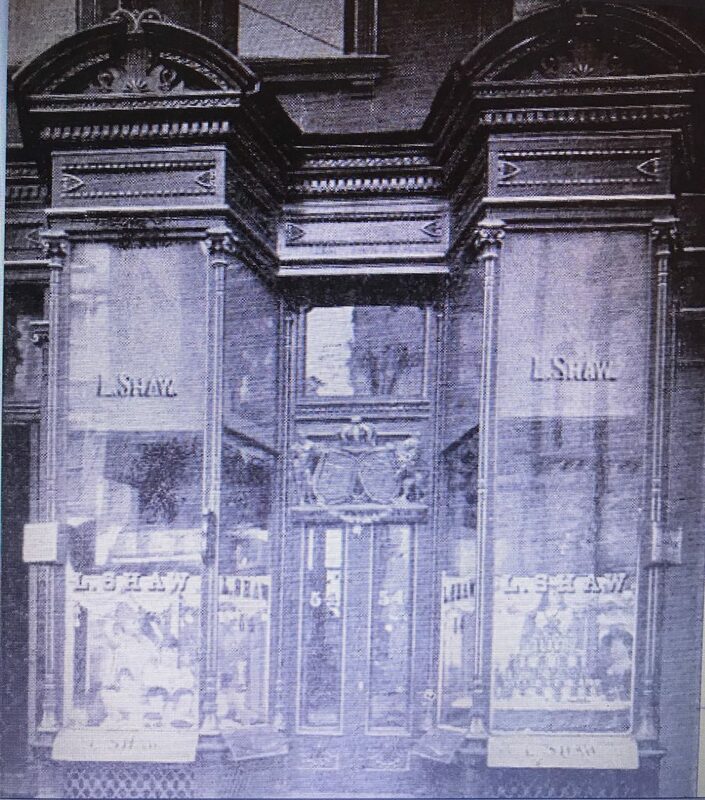 It should be noted that Alexander sold the business in and around 1889-90 after, according to his New York Tribune obituary, “discussing terms for only half an hour.” The new owners continued to operate it as Hudnut’s Pharmacy at 218 Broadway until the building was torn down in 1895. 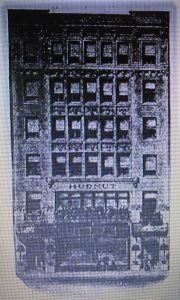 At that point, the business moved to 205 Broadway where the NYC Directories still associated it with the name Hudnut (why change a good thing?) through 1904. In addition to the Hudnut name embossed on the front, the bottle I found has the Hudnut Logo comprised of his initials RH (with the H presented both front and back) embossed on the side. It’s machine made and matches the image in the 1913-1914 price list dating it to that period. 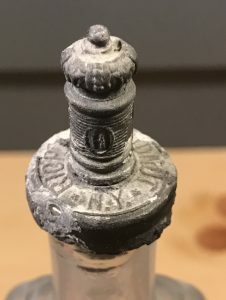 Amazingly, the bottle was found with the spout (also embossed Richard Hudnut NY) still attached. 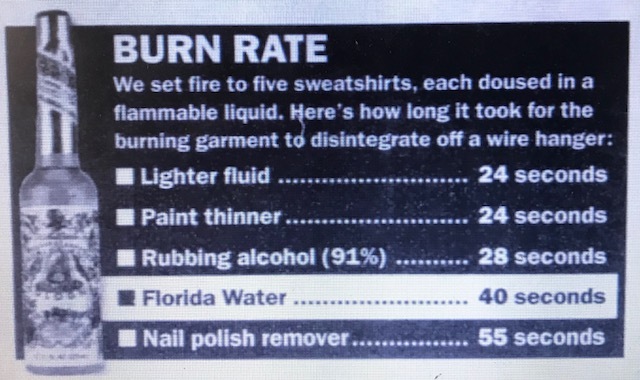 Author baybottlPosted on February 25, 2017 December 9, 2017 Categories Perfume/Toiletries, Pharmacy/DruggistTags ABM, antique bottle, DuBarry, Hudnut's Thermometer, Hudnutine, Violet Sec, Warner Lambert, Wm R Warner Co.